What do you do with 20 pounds of candy, 6 tubs of frosting and a dozen gingerbread houses? Throw a gingerbread house party! Gingerbread is big business in our house and we've been making various versions of houses for several years. Last Christmas we started a tradition with our extended family to have a massive gingerbread house decorating event, which we were able to continue this year. Prep for the GB house extravanza starts a couple of weeks before the event, with making a bazillion GB houses. And by a bazillion I mean a dozen or so. Our daughter and her boyfriend graciously made ALL of the houses this year during their college holiday break. Without their help, I'd have been running around like an absolute lunatic - thank you guys! 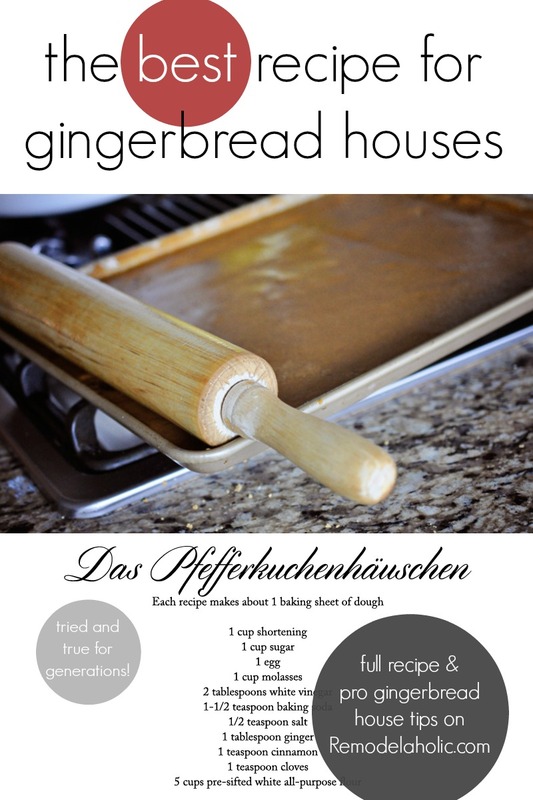 We used this gingerbread recipe from Remodelaholic, rolling the dough out and baking it in sheets and THEN cutting the templates out for the house shapes. This was hugely successful for a couple of reasons. First, it's way easier to roll out your dough on your parchment or silicone mat and then transfer to a cookie sheet than move individual house pieces and retain their shape. Second, when you cut the pieces AFTER the dough has cooked, the edges are nice and sharp so the houses go together much easier. Once the houses had cooled, we assembled them using the Caramel Syrup recipe from Martha Stewart. We've used this to put our houses together for a couple of years now as once the caramel sets the houses are very, very sturdy. We want our houses to be 100% edible since we are sharing them with young kids, but if you're not concerned with that, a hot glue gun gets the houses put together quickly as well. I had visions of creating decorations in coordinating color schemes using royal icing and fondant (cue hilarious laughter here...), but ended up only making some roof tiles out of marshmallow fondant. If you're feeling ambitious, a great tutorial for making your own roof tiles is available here from the Gingerbread Journal. To kick the party off, set out the candies, house bases (we used paper plates this year) and knives for spreading frosting and let imaginations fly!